As part of a group of AHQ/EA Forums volunteers, I was invited by EA to go to EA Play this year. We got to enjoy three wonderful days in LA. EA Play started with the press conference on Saturday morning. A lot of the game could be played in the outside area at EA Play afterwards and there were also goodies for those who stood in line and played: Dog Tags for Battlefield V, game codes and caps for the sports games and big posters for some of the games. You could also build your own Yarny or get some Sims 4 hair chalk to make your hair all colorful. Food trucks made also sure that you wouldn’t go hungry throughout the day. There were different ones each day. Being able to see the press conference live was a very special experience. The Indie Games Unravel 2 and Sea of Solitude were my personal favorites, since there was no announcement for Sims 4 Seasons. That wasn’t really a surprise though, as there has been so much news about it prior to EA Play already. There was of course also a prize for the winner. More about that in the next paragraph. Next adventure on our program was – in the spirit of Need for Speed – to go race car driving. With real cars on a real track. In groups of 3 with a professional driver, everyone could race two rounds on the the tracks. I didn’t wanna risk getting really car sick, so I decided not do to it but what I hear from everyone else, it was a great experience that everyone loved. The winner of the scavenger hunt was able to drive himself and he came back with a glowing smile on his face. At EA Play a wide range of games could be played. Next to the highly anticipated Anthem (no actual game to play but rather watch the devs play similar to the press conference) and Battlefield V, the at the press conference announced mobile game Command & Conquer Rivals, there was also Battlefront II, a whole squad of sports game and Plants vs. Zombies. I tried 3 of the games available. A short overview to those below. Unravel 2 was my absolute favorite at the convention. The game is already out and I wanna highly recommend that you try it out. Especially fans of Unravel 1 will be excited. The first two levels were available to play and I played each in co-op with another member of my group. The mechanisms of the game are similar to Unravel 1. You can still swing, jump or climb with the help of your yarn. The biggest change is that the red Yarny now has a friend, the blue Yarny. You can play the game on your own or co-op on the same computer (there is no online co-op unfortunately). There are a few task that can only be done in team work (if you’re playing single player, you can switch between the two Yarnys), for other task you can merge them together and you can run through the levels like that. There are also some levels with all kinds of animals and other obstacles that are trying to kill you to bring some action element to the game. The complete game consists of 7 main levels and 20 extra ones. You can play each level as many times as you want, since there’s also collectibles in the levels and it’s not easy to play through a whole level without dying. If you have Origin Access/ EA Access you can play a total of 10 hours for free. The first two levels are available. My conclusion after playing 2×15 min: Go get it! The main reason I played Fifa 19, was to get one of the caps but they were all gone by the time I got to the booth to get one. Together with EA_Joker I played a game and have to say that playing feels the same as playing Fifa 18. The English commentator sounded different so that gives a bit of variety. At the convention you could only play the new UEFA mode. That is supposed to be in all parts of the game. In Fifa 18 I liked the story mode with Hunter a lot and I’m happy to hear, that he will be in FIFA 19 again. There was no option to play it yet though. Conclusion: I’m sure all football-fans will get it as always but for me it was pretty much the same. September is still a ways off though and I’m sure there’s still lots of changes happening. 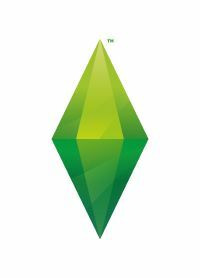 To play Sims 4 Seasons I stood in line a few times. The line was always very short so that there weren’t any long waiting times involved. On top of that I was able to talk to some of the producers and get some goodies. Since there’s so much info out there already and the game is already out, I don’t wanna say much about it and just highlight a few things that I noticed. I really like the calender. You can plan an event for each day and you can also delete the pre-made ones if you don’t wanna play those. You can now choose an actual starting time for your event. This only works through the calender though. If you pan the event through the phone, it still starts immediately. I’m guessing that’s because the calender is only available if you have Seasons and isn’t a part of the patch. The option menu gives you several options to tweak things. You can change the length of the seasons and there’s also settings for snow and rain and you can choose whether or not your Sims will be affected by the temperature. There aren’t a lot of changes to the GUI. You can now see the temperature and if you hover over that, you get a weather forecast for the day. There’s also an icon for the calender of course. I wished they brought the played weeks back but unfortunately, that is not part of the update. There was a lot of talk about the not so deep snow prior to release. That’s not something that bothered me in the least. With the glittering snow and th footprints, winter is very nice to look at. You can put together your holidays however you want and similar to the group system of Get Together there’s a list of activities you can choose from. There’s no real reward if you do all those tasks but you they get ticked off as you do them. The activities available seems a bit random though. You can for example choose romance and sports TV as an activity but none of the other channels. I really liked the scarecrow and the flower bunny. The flower bunny loves to hug. This was particularly funny as I created a holiday where fighting was an activity. So, you fight the flower bunny and then he gives you a great big hug. The flower bunny also leaves flowers and produce everywhere so that you can start gardening right away, even if you’re penniless. You can choose your season at the beginning of the game (that also goes for existing save games). After that you can’t change it anymore though and you have to play through it to get to the next. At EA Play they had pre-made save games for every season so that I got to get a glimpse of all of them. Conclusion: I liked a lot from what I’ve seen so far. There aren’t that many new objects and clothing but there’s a lot of new game play that hopefully will bring back the joy of playing for many. We shall see which new bugs are going to be in the game the coming days. I didn’t see any bad ones in the short time I was able to play. I had a great time at EA Play and LA. I met a lot of great people, especially some I have known for 6 years through AHQ and was happy to finally meet in person. I would like to thank EA for the opportunity to go. Differently then Gamescom, EA Play doesn’t necessarily give you enough to do for 3 days but with all the things planned around it, the whole trip was a very special experience.